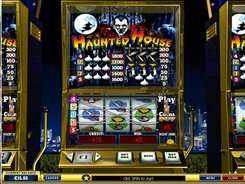 Haunted House slot will transport you to the house inhabited by spooky ghosts. 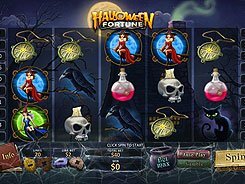 In this 3-reel five-payline slot game you will be surrounded by all kinds of evil spirits. Don’t be afraid of them as matching the symbols up you will get a generous reward. 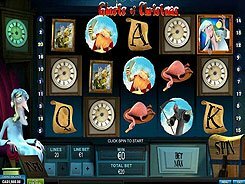 Before clicking the Spin button you should place a bet. Adjust a coin size you would want to bet from $0.05 to $5. You can put only one coin per line, so the top bet per spin amounts to $25. The symbols of Haunted House live up to its name. They include a garlic, a candle, knives, a cross, a cup and other eerie icons. The garlic is the most beneficial combo paying 1800 coins for five of them on an active payline. 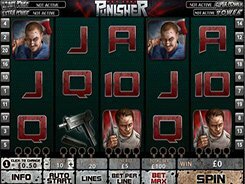 All combinations and their values are displayed in the Paytable Schedule above the reels. PLAY FOR REAL MONEY!